MOSCOW, December 27. /TASS/. An effort to eliminate members of the Jabhat al-Nusra terrorist group (outlawed in Russia) in Syria will be completed in 2018, the chief of the Russian General Staff, Army Gen. Valery Gerasimov, said on Wednesday. 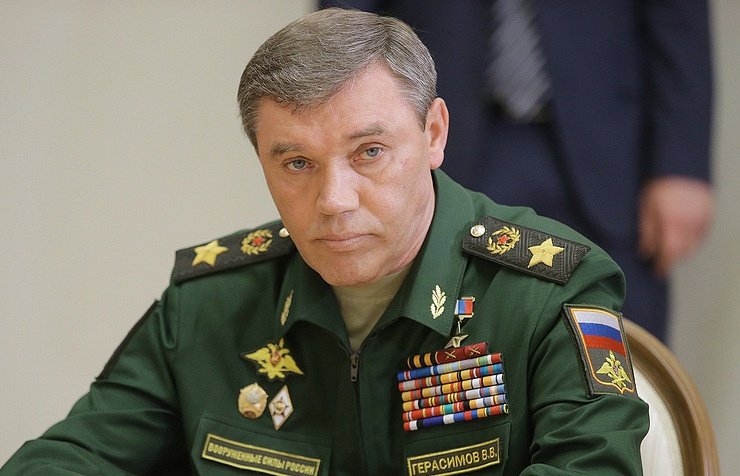 In an interview with the Komsomolskaya Pravda daily, Gerasimov said that next year’s developments in Syria will include "the completion of eliminating militants from Jabhat al-Nusra and its affiliates." "Some members of this terrorist organization operate in de-escalation zones," he continued. "Jabhat al-Nusra fiercely opposes [the ceasefire]. Therefore, they must be eliminated." According to the chief of the Russian General Staff, biggest Jabhat al-Nusra groups operate in Syria’s Idlib governorate. "I think that they will be done with after a while," he said. Among other important tasks for the coming year, Gerasimov identified political settlement in the country, including preparations for the upcoming Congress of the Syrian National Dialogue. On December 6, Russian President Vladimir Putin announced that the Islamic State terrorist group (outlawed in Russia) had been fully defeated on both banks of the Euphrates River in Syria. Five days later, Putin ordered the pullout of Russian forces from Syria, which was declared complete on December 22. Along with the naval base in Tartus and the air base in Hmeymim, Russian military presence in Syria was cut to three military police battalions and the Center for the Reconciliation of the Warring Sides. According to Gerasimov, those forces are needed to support the Syrian government troops and defend Russian interests in the Middle East.